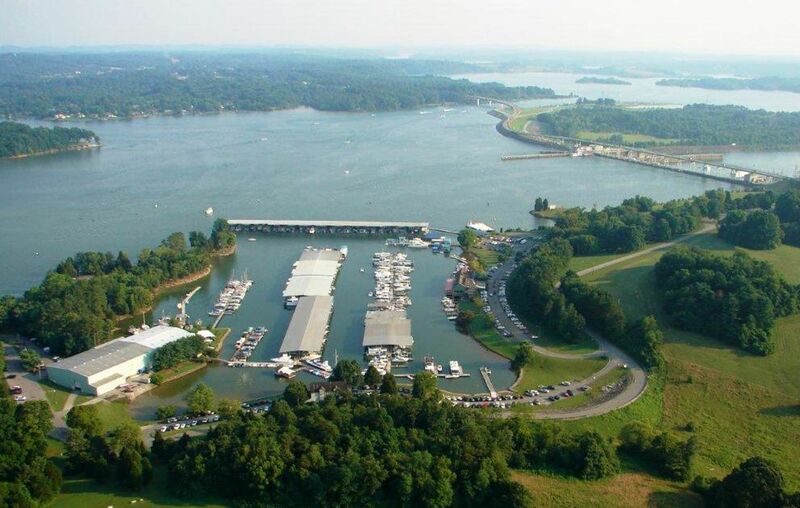 Lenoir City is nationally known as the "Lake Capital of the South." This reference originates from the fact that Lenoir City is surrounded by three beautiful lakes, which offer many recreational opportunities. Native Americans were living in the Lenoir City area for thousands of years before the arrival of the first European settlers. On Bussell Island, which lies across the Tennessee River to the south, archaeologists have discovered evidence of habitation dating to as early as the Archaic Period (8000–1000 B.C.). The island is also believed to have been the location of "Coste," a village visited by Hernando de Soto in 1540. The Cherokee called the Lenoir City area Wa'ginsi, and believed it to be the home of a large serpent that brought bad luck to anyone who saw it.By the early 19th century, an early East Tennessee pioneer, Judge David Campbell, had laid claim to part of what is now Lenoir City, where he had built a log cabin and a gristmill. The William Ballard Lenoir House, built in 1821, now part of the Ledbetter ApartmentsIn the early 19th century, a 5,000-acre (2,000 ha) tract of land— which included what is now Lenoir City— was deeded to General William Lenoir as payment for his services in the American Revolutionary War. David Campbell and another early settler, Alexander Outlaw, filed a case against Lenoir in court, arguing they had already laid claim to parts of the Lenoir tract. After the case was settled in favor of Lenoir in 1809, Lenoir deeded the tract to his son,William Ballard Lenoir (1775–1852), who in 1810 moved to the tract and established a large plantation. Along with agricultural pursuits, which included producing hams from a herd of Berkshire hogs, Lenoir operated several small-scale industries, including a sawmill and flour mill. In the early 1830s, the Lenoir Cotton Mill— one of the earliest in the South— was completed along the banks of Town Creek. After Lenoir's death, his estate was divided up among his children. His sons formed the William Lenoir and Brothers Company to manage the family's businesses. When the railroad reached the Lenoir estate in 1855, a depot was constructed, and the community of Lenoir Station developed around it. During the Civil War, the Lenoirs supported the Confederacy, due in part to associations with Confederate-leaning business interests in Knoxville (one of William Ballard Lenoir's sons was married to the daughter of Knoxville historian and banker, J. G. M. Ramsey, who was an ardent Confederate). On June 20, 1863, a Union scouting expedition led by General William P. Sanders arrived at Lenoir Station after having failed to destroy the railroad trestle atLoudon. Sanders burned the depot as well as the Lenoirs' sawmill and flour mill. He spared the cotton mill, however, since there were few such mills in the area to provide cloth for the army, and because the Lenoirs were fellow Masons. The Lenoir City Company office building, now the Lenoir City Museum, built in 1890 and designed by theBaumann BrothersIn the late 1880s, an abundance of financial capital, the popularity of social theories regarding planned cities, and a thriving coal mining industry in East Tennessee's Cumberland Plateau region led to the establishment of a number of company towns throughout the Upper Tennessee Valley, most of which were funded by investors from the northeast or Knoxville. In 1889, Knoxville railroad magnate Charles McClung McGhee and his friend and associate, Edward J. Sanford, formed the Lenoir City Company, believing the Lenoir estate would be the ideal location for such a town. The company incorporated in April 1890 with $800,000 in stock, and purchased the Lenoir estate, which then consisted of 2,700 acres (1,100 ha), for $300 per acre. When the company issued the stock to the public, the investors each received stock in the company and a lot in the planned town. Lenoir City was laid out in a grid pattern with four quadrants, west of Town Creek and north of the railroad tracks. The city's northwest quadrant would be a middle class and affluent residential area, whereas the northeast quadrant would be for the city's wage-workers. The southwest quadrant would contain blast furnaces, steel works, and other large factories, while the southeast quadrant would contain woodworking, furniture, and canning factories. Influenced by late 19th-century reform movements that stressed health and temperance, several lots were set aside for public parks, and a large garden area was planned between the railroad tracks and the river. The Lenoir City Company struggled due to a recession that froze financial markets in the early 1890s. By 1892, the company had only sold 144 of the town's 3,448 lots. McGhee and Sanford persisted, however, and while it never developed in the grand fashion conceived, Lenoir City nevertheless survived. McGhee convinced a rail car company to open a factory in Lenoir City, and a short time later a knitting mill was established. Both establishments still employed several hundred workers in 1910. Updated: 25th April, 2019 7:36 AM.